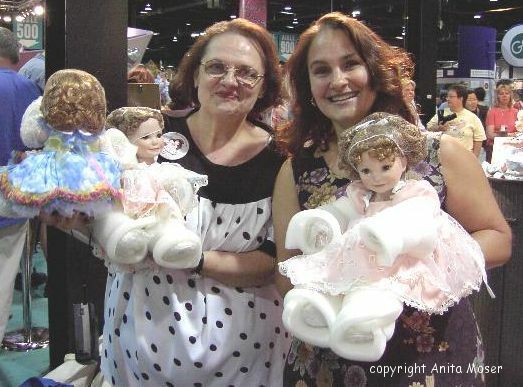 Judy Mae and her daughter Kim holding Judy Mae dolls sculpted by Sonja Bryer from a baby picture of Judy. 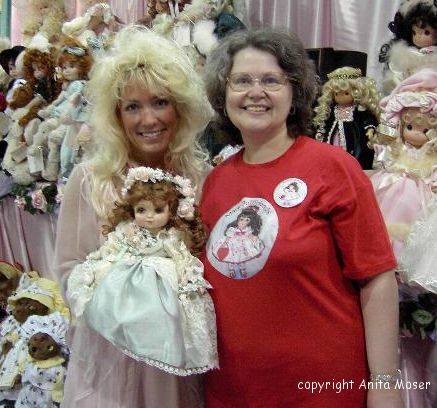 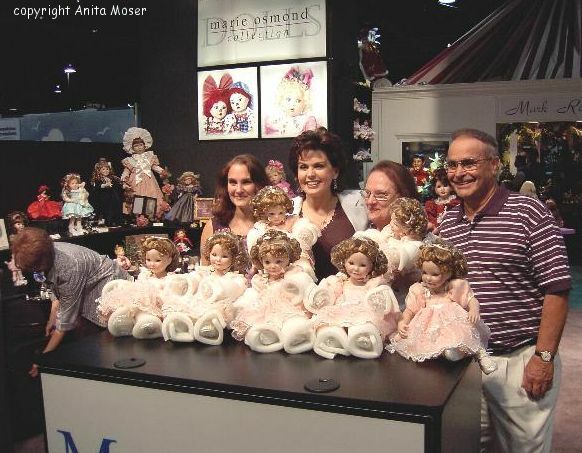 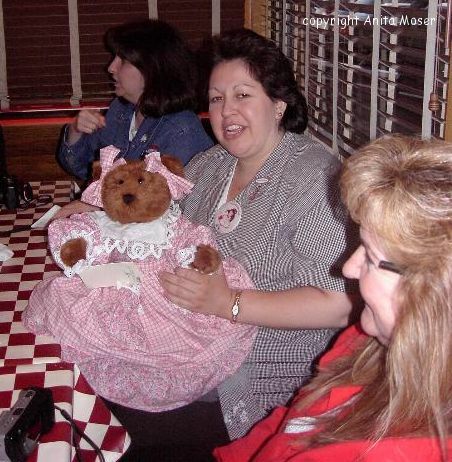 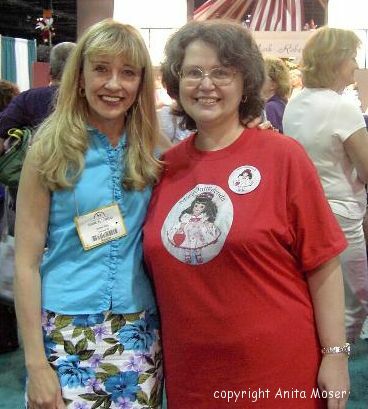 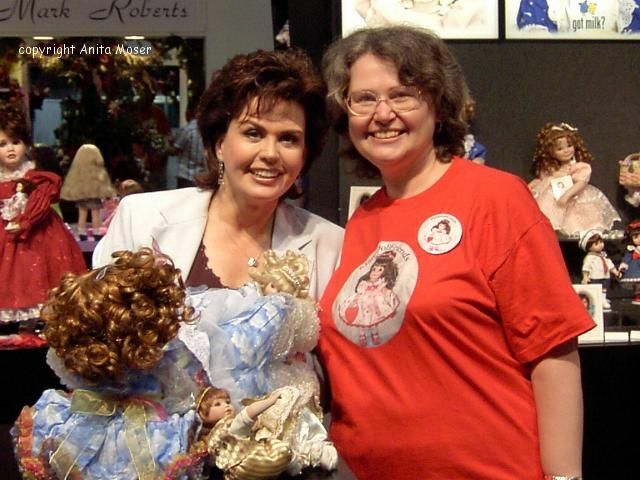 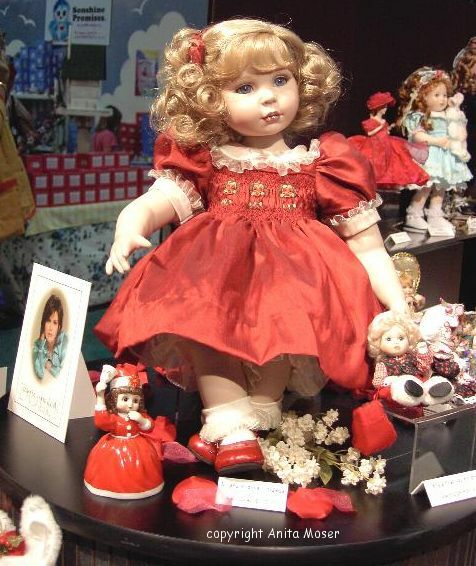 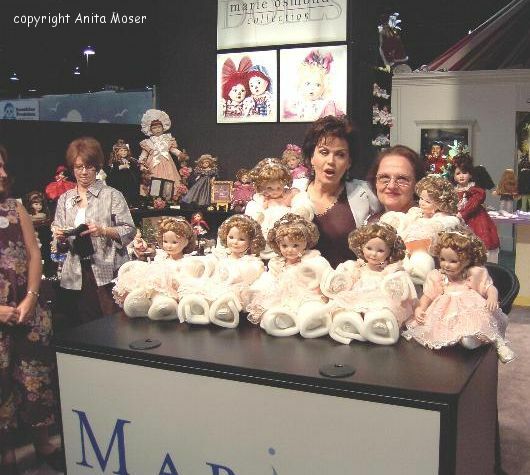 Anita with Linda Rick, holding Adora Belle Angelique, a Lane's Toyland exclusive which was designed by Linda for Marie Osmond dolls. 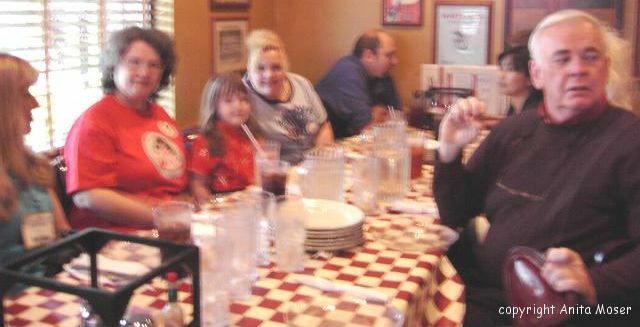 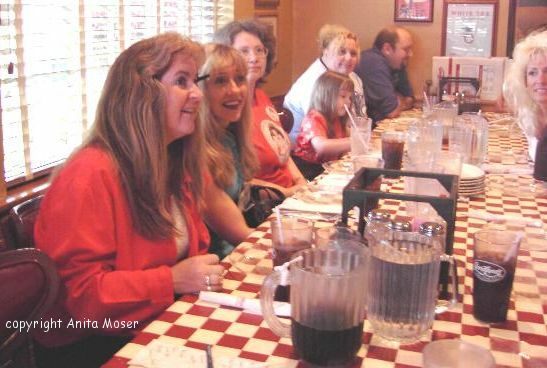 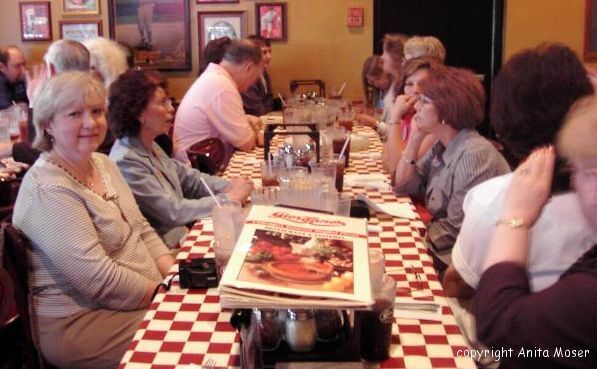 Anita in the red shirt, Noelle sitting next to her. 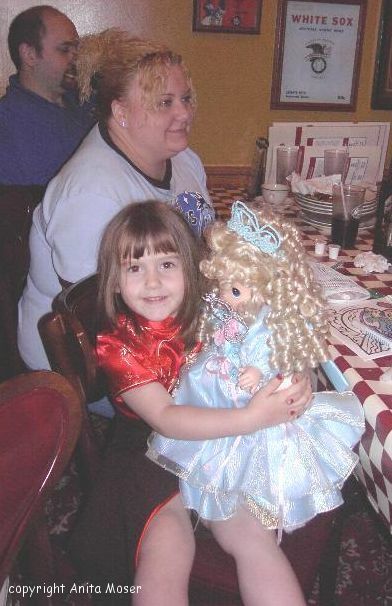 Noelle holding Brianna, a doll she won.